Gleam Guard of Oklahoma City, LLC. Comment: Creating an open floor plan concept which includes knocking out a wall in the kitchen, relocating the range and refrigerator and installing an island with draws and seating from six. Comment: It is in a small apartment complex & I just need it as reasonable as possible.. Comment: I have stained kitchen cabinets. I would like to paint them white. Oklahoma City Cabinet Contractors are rated 4.79 out of 5 based on 288 reviews of 40 pros. 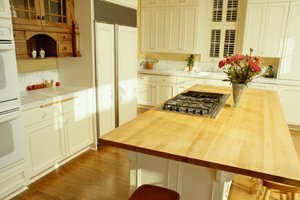 Not Looking for Cabinets Contractors in Oklahoma City, OK?